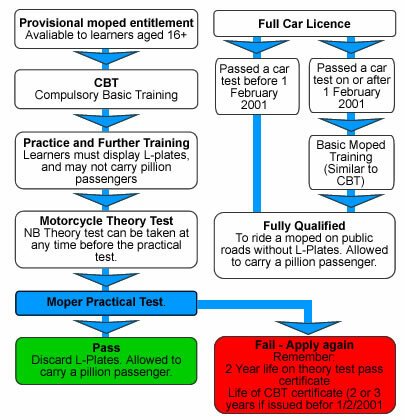 You will need to apply for a provisional moped license and take compulsory basic training (CBT). The CBT must be taken by anyone aged 16 wishing to ride a motorbike or scooter on the public roads. The courses, which are carried out by an Approved Training Body, take a day to complete. The CBT test has to be renewed every 2 years. Once you have competed the training successfully, you will be issued with a certificate of validation (DL196). L plates will be required which can only be removed, once you have completed a theory and practical test. Scootercrazy will be more than willing to make all the necessary arrangements for your CBT training and can include the cost in your package. If you are aged 17 or above a CBT test will enable you to ride up to a 125cc. Once you have successfully completed the CBT training you will be able to ride on the road displaying L plates. Scootercrazy will be more than willing to make all the necessary arrangements for your CBT training and can include the cost in your package. For a detailed explanation of CBT see the section in the 16 year olds category above. 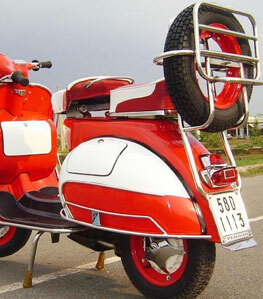 Full car license holders can ride a 50cc scooter restricted to 30mph without L plates and without any further training, provided that the license was issued before 1st February 2001 otherwise a CBT test will be required. If you wish to ride a scooter over 50cc you will still need to take the CBT test. Flow charts below show detailed information on the tests required. Basic Road Safety: Understanding basic Road Safety concepts. Do you know your Highway Code? 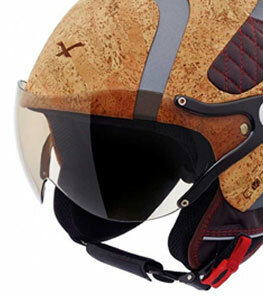 Would you know what to wear when riding a two-wheeler? Introduction to your bike: Knowing where the essentials are on your bikes. How would you operate your brakes, clutch, gears (if you are learning on a manual vehicle), and most importantly how to start up your bike. Manoeuvring & Parking: Walking with the bike. Making the bike stationary and getting ready to move away again. Slow control: Learn how to balance and ride your bike at a slow pace without wobbling or falling off. Road Practice: Practice approaching junctions and the correct procedure for turning left and right. Compulsory Skills: Learn the correct emergency stop procedure. You will also be taught how to comfortably do a 'U' turn on your bike. The Real Thing: Out on the road in radio contact with your instructor to give you some further guidance.